The revamped Seamaster Diver 300M in a stealth-looking ceramic case, a larger case size and the elimination of the date window. 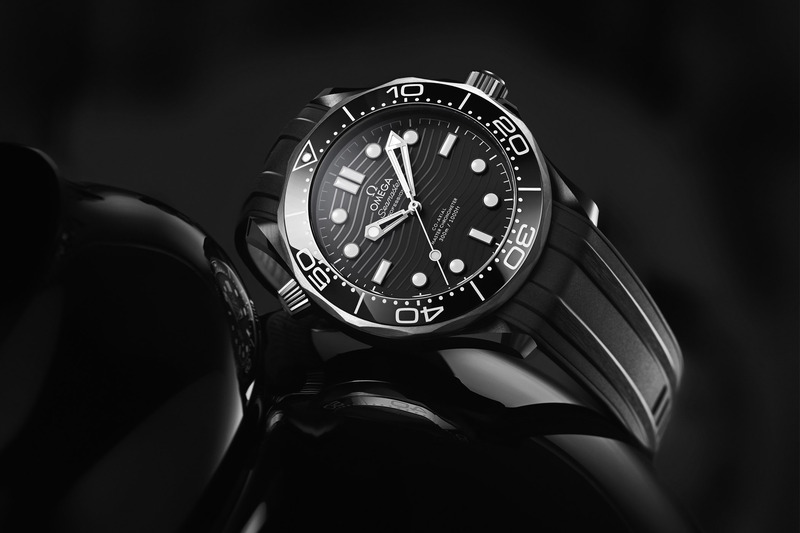 Last year, Omega took a deep breath and plunged into one of its most iconic collections, the Seamaster Diver 300M – a 25-year-old icon, worn by none other than 007 himself (hence its nickname, the “James Bond Watch“) positioned as the entry-level watch to Omega’s divers. The 2018 model was an instant hit, which offered great value for the money and superb mechanics/construction. As a preview of the 2019 collection, Omega introduces a stealth version in black ceramic and titanium – but be sure to read the rest of the article, as it has more than just new materials to show. 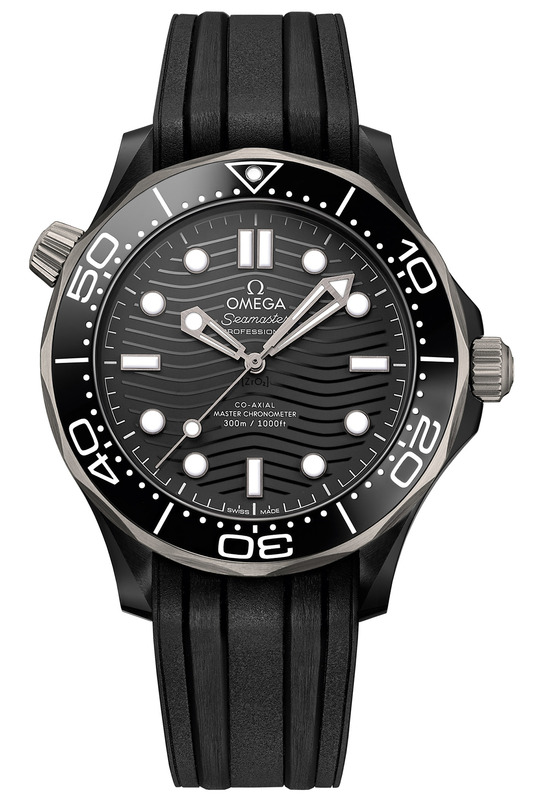 This new Omega Seamaster Diver 300M Ceramic-and-Titanium appears, at first, just a new combination of materials – both dear to the brand, which has been playing with ceramic a lot these past few years (think Speedy DSOTM or Seamaster PO Deep Black). Thus, indeed, the new SM300 is bringing a new dark style and some materials that we haven’t seen before on this model. This would have been nice but Omega thought it could tweak this model for the occasion with updates on the proportions and on the display. 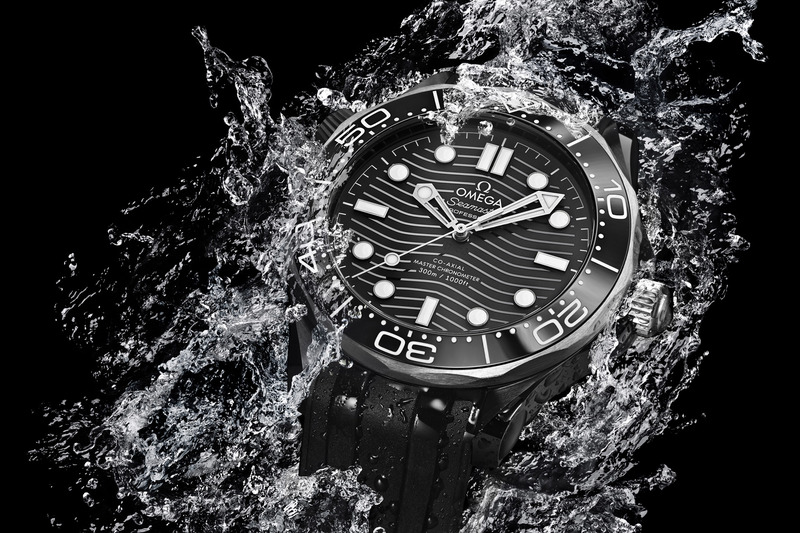 First things first, the new Omega Seamaster Diver 300M Ceramic-and-Titanium combines a central case in black ceramic and a black rubber strap – with the same design as the “standard” steel models, meaning with two central brushed surfaces. In order to contrast with this dark material, Omega chose to have the bezel, the crown, the helium escape valve as well as the caseback made of brushed titanium. Pretty nice choice, which brings a true tool style to this watch. Other than that, the specifications are equal, with a 300m water-resistance and the typical NAIAD lock caseback with sapphire crystal. 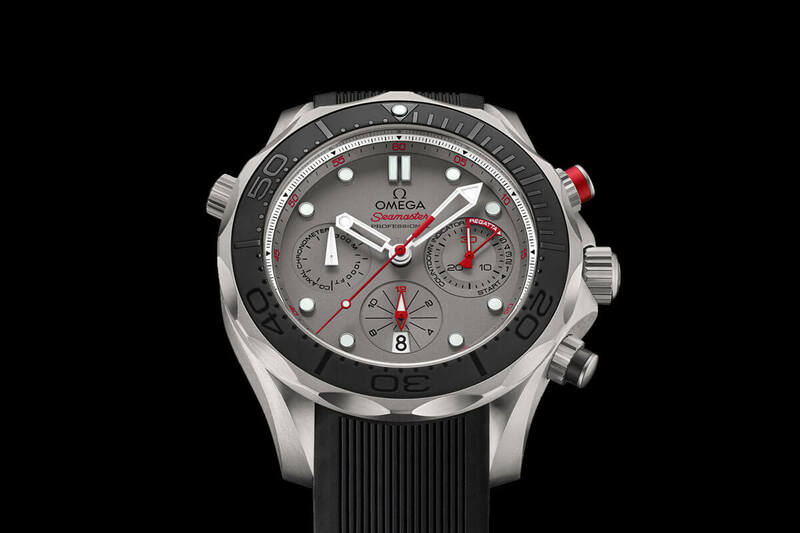 However, looking closely at the specifications, this new Omega Seamaster Diver 300M Ceramic-and-Titanium changes in size. Instead of the 42mm diameter of the steel models, this ceramic version has grown and is now 43.5mm in diameter – again with the idea to make it more of a tool than a lifestyle accessory. No word on the thickness yet, but expect at least 14mm. 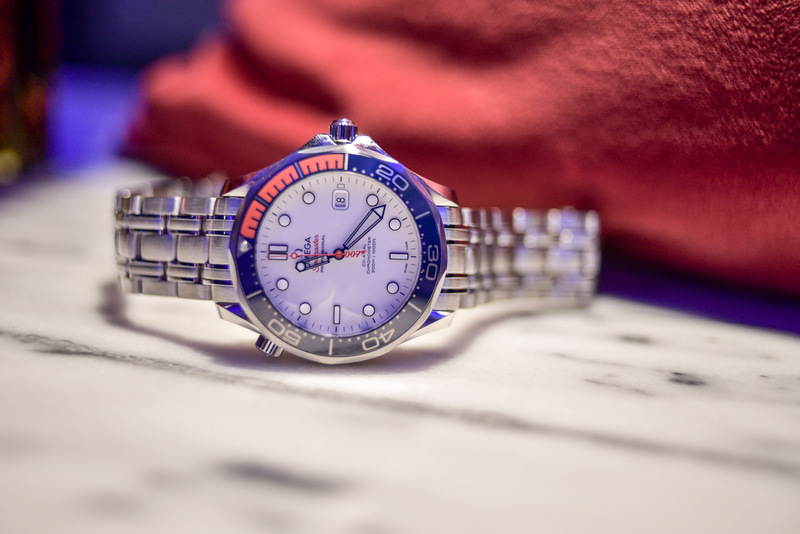 The dial of the Omega Seamaster Diver 300M Ceramic-and-Titanium might take the same overall design as all the other models in the collection, it is however different. Instead of “grooves” that are laser engraved on the dial, this version has a brushed ceramic dial with “positive relief” wave pattern, meaning that the waves are raised from the surface (and not recessed). The last – and certainly best – update concerns the display. 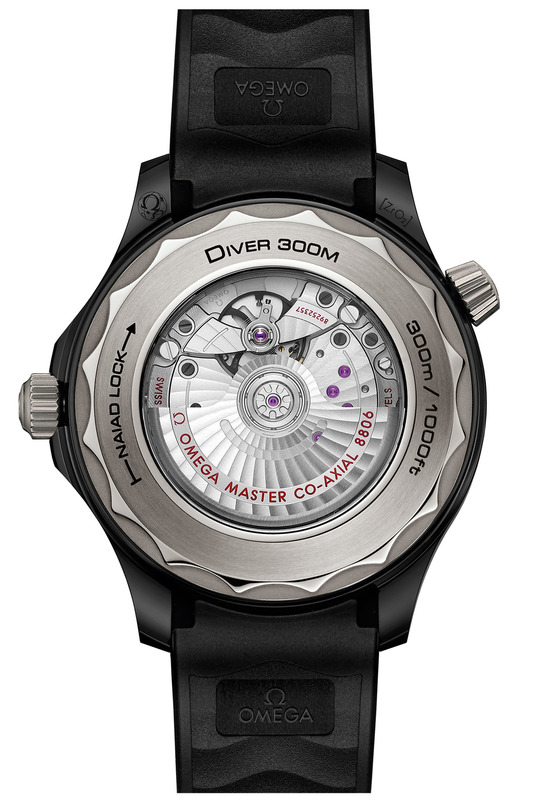 By changing the movement, Omega also removes something on this Seamaster Diver 300M Ceramic-and-Titanium. It is indeed a no-date watch, something that will definitely please some collectors – just like the Tantalum/Titanium/Sedna Gold edition introduced in 2018. 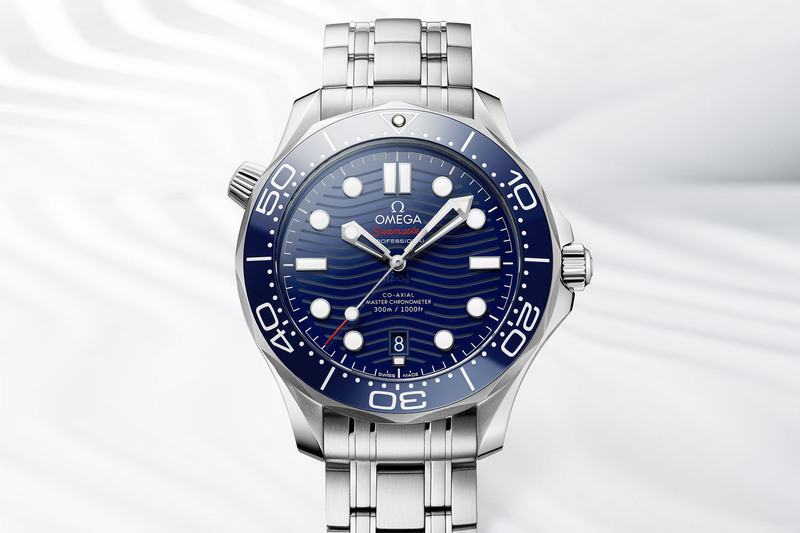 The Omega Seamaster Diver 300M Ceramic-and-Titanium (ref. 210.92.44.20.01.001) will be priced at CHF 7,500 (excl. taxes). More details at omegawatches.com. This piece of news was first reported by Fratello Watches here. Rather pricey. I think they should also have taken the opportunity to remove the Helium Release Valve. Personally, I like the no-date but hate the wave pattern, but that’s just me of course. When viewing the watching the store the wave pattern really look sharp. You will really like it. I know it does look better without the helium release button. I’m not quite sure about removing the helium release valve from a seamaster diver watch? I think purchasers like the idea that they can actually use this as a dive watch. No, I much prefer the previous lacquered dial. I didn’t mean have no release valve [my bad] – rather have an automatic (and mostly hidden) one. I don’t know. Omega just don’t have it. I know they are very well made. I know their movements are great for the price. But their designs are….well, silly. 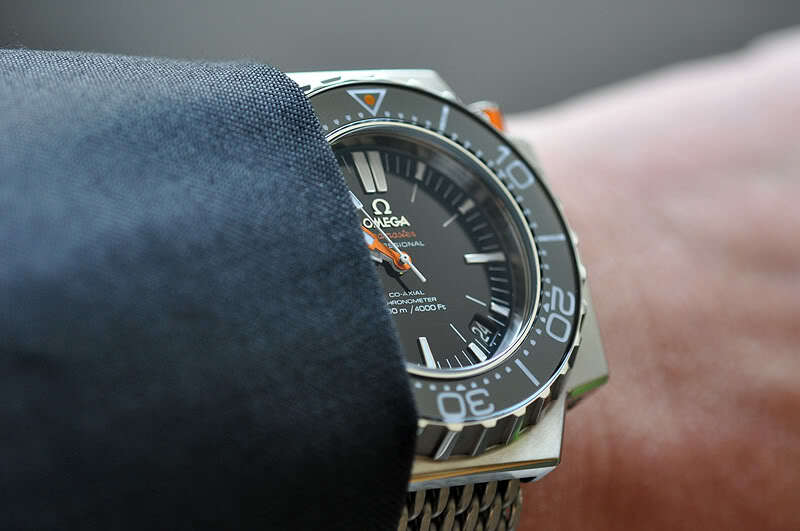 I think it´s obvious that this Omega SM Diver (43,5 mm) is a no-date version. The 8800-movement is so ridiculously tiny, that the date display would have landed to a very odd (wrong) place. Looks better than the standard version thanks to the removal of the 6 o’clock date window. Wouldn’t buy it at that price though. Making it very large, black and shiny certainly helps with the stealth aspect. And the vintage lack of date function is entirely appropriate on a modern 21st century watch in an up-to-date, urban style. really nice looking sportly watch, and price justified because with ceramic! 7500CHF for a Ceramic-Titanium timepiece that houses the co-axial escapement and the fact that it has both COSC and the METAS Master Chronometer certification is a steal for a timepiece that is water resistant to 300m (984ft) and antimagnetic above 15,000 gauss. 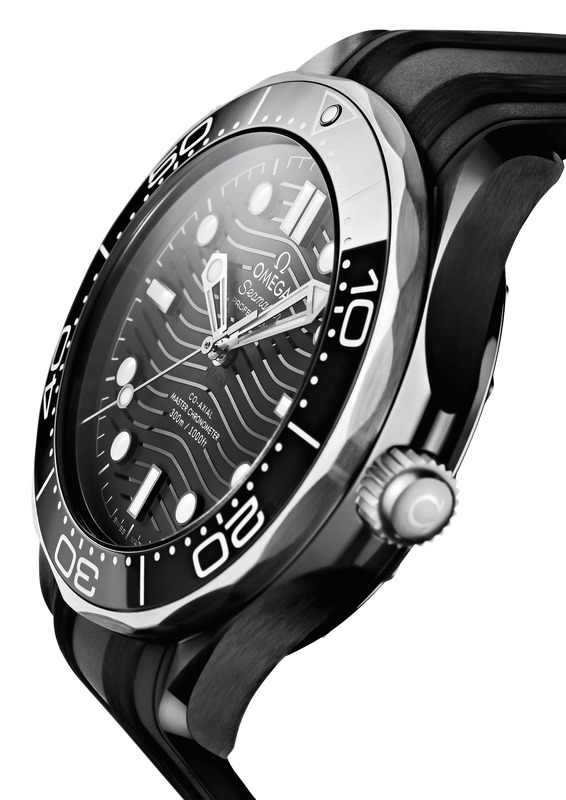 Fans of the Diver 300 love the wave pattern.